EUGENIA CARACCIOLO DI TORELLA is Lecturer in Law at the University of Leicester, UK. Her main area of research is how the principle of gender equality applies to different areas of law. Eugenia has published extensively in this area and has participated in Commission-funded research projects. 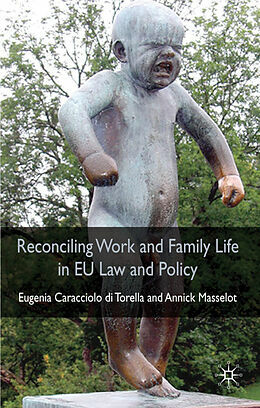 ANNICK MASSELOT is Senior Lecturer in European law at the University of Leeds, UK. Her research interests focus on EU law, gender equality and equal treatment, social law, reconciliation of work and family life, pregnancy and maternity rights.